Enterprise Resource Planning (ERP) is a business management software suite of applications that stores and manages business data. ERP provides an integrated view of core business processes using a common database. Customer Relationship Management (CRM) is a software system designed to track and measure marketing campaigns, leads, cases and sales. The purpose of the system is provide a central repository for mining the data for information that increases the relationship with your customer. What is Cloud Computing and what are the benefits? Cloud computing is the delivery of computing as a service rather than a product, whereby shared resources, software, and information are provided to computers and other devices as a utility (like the electricity grid) over a network (typically the Internet). Clouds can be classified as public, private or hybrid. 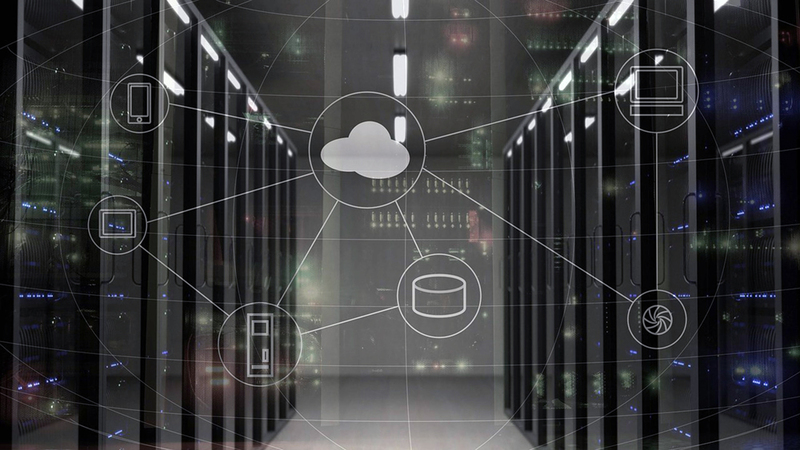 Proponents claim that cloud computing allows companies to avoid upfront infrastructure costs, and focus on projects that differentiate their businesses instead of on infrastructure. Proponents also claim that cloud computing allows enterprises to get their applications up and running faster, with improved manageability and less maintenance, and enables IT to more rapidly adjust resources to meet fluctuating and unpredictable business demand. Cloud providers typically use a “pay as you go” model. Not all Cloud Computing platforms are created equal. It is important to evaluate your hosting or cloud provider to insure they are keeping your data safe. In general, large cloud/hosting providers like Amazon employ very advanced security layers that keeps your data safer than it would be sitting in your office where you keep your password written on a piece of paper under your keyboard. Please contact us to discuss your specific cloud need so we can better guide you. Do I have a choice on where my data is stored? A limited number of ERP and CRM providers offer a choice on where your data is located. Many offer SaaS only or On Premise Only. Acumatica Cloud ERP offers three options (SaaS, SoP and On Premise). With Acumatica the customer always owns the data so they can move between deployment options. Perpetual – Onetime fee to purchase the software with an annual maintenance fee for updates. Is there online training for cloud ERP? Acumatica Cloud ERP has made available all of their training courses online. You can find demo and training video’s on YouTube.com. Search for “Acumatica Cloud ERP”. Can my data be migrated from my old ERP or accounting system? If data can be imported from your old ERP or accounting system into an electronic format than it can generally be loaded into a new ERP. Acumatica Cloud ERP includes Integration Services which allows users to configure imports from flat files or SQL database. This can be used to import master records (Vendor, Customer, Inventory, etc.) as well as detailed history. In addition, a conversion utility is available to further automate the import of historical data. Contact us to find out which options are available for your legacy system. Can I access my cloud ERP data from mobile devices (smart phones, tablets, etc…)? Acumatica Cloud ERP is a web based application that may be accessed on any device running a common browser. With the release of Acumatica 5.0, the Mobile Framework provides native iOS and Android applications that can be used to access any data within Acumatica.